I hope you continue to think of Axios Science as a treat for your brain (and a break from politics). This week, I talked with E.O. Wilson, experts weighed in on efforts to bring back extinct species, and, of course, we found something wondrous. Questions, comments or suggestions? You can reach me at alison@axios.com. Quick note: Axios' Sara Fischer is launching a weekly newsletter about media trends. Sign up here to receive her insights on the fast-changing media landscape. E.O. Wilson wants to finish what Carl Linnaeus started 300 years ago: cataloguing and naming all of Earth's species. But we're only 20% of the way there, and he warns that if we fail to put half of Earth in nature preserves we will doom species — known and unknown. Our era, he says, could be remembered more for destroying Earth's biological diversity than for technological advances. 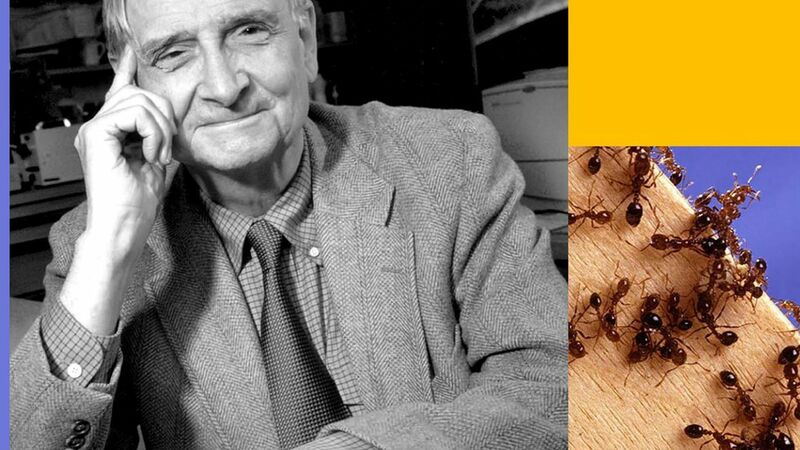 Why he matters: Wilson, whose expertise is ants, has become the planet's conscience when it comes to biodiversity. In the early 1960s, he and his colleague Robert MacArthur described how islands could maintain a greater number of diverse species. That idea was the foundation for nature reserves, now a tenet of global conservation efforts. Quote"Right now, the percent of land put aside in reserves worldwide is approximately 15% and the percent of sea preserve is somewhere around 3-5% We need to take measures to move that to 50%." Quote"There's an immense job ahead of us to do what I've been calling the Linnaean Renaissance. In other words, we need to finish the job that Linnaeus started of actually cataloging and taking account of all the species of organisms on Earth and ecosystems in which we live. Now, how fast are these species going into oblivion? The rate of extinction is estimated to be somewhere between 100 and 1,000 times what it was before the coming of humanity." Read more of my interview with him here. Wildebeest carnage: The thousands of wildebeests that drown crossing the Serengeti's Mara River each year play an important role in nourishing the ecosystem. Cats rule: Scientists sequenced the DNA of ancient and modern cats to figure out when they were domesticated, following their path around the world over the past 9,000 years. Why suitcases wobble: Physicists solve a modern riddle — and offer a solution. Humans have wrecked global biodiversity. Can we undo it? Earlier this year, Harvard biologist George Church outlined his plan to produce elephant embryos that contain woolly mammoth genes. The news — big and even called fake — reignited a debate about whether and how gene editing can be used to bring back extinct species or at least some of their traits. The context: The world's biodiversity, the sheer number of species, and the diversity of traits, is under threat. For example, on our current trajectory of fishing, mining, damming, and manufacturing, more than half of the planet's marine species may face extinction by 2100. At the same time, there is ongoing debate over how we should choose which species to try to save. Joseph Bennett, biologist, Carleton University: Keep animals from going extinct in the first place. Molly Hardesty-Moore, ecologist, University of California, Santa Barbara: Don't forget an extinct creature's ecology. Ben J. Novak, biologist, The Great Passenger Pigeon Comeback project: De-extinction is like any other conservation program. Alejandro Camacho, legal scholar, University of California, Irvine: Wildlife laws aren't ready for the return of extinct species. John Hawks, paleoanthropologist, University of Wisconsin-Madison: Bringing back Neanderthals. Neurology/theology: Richard Burton writes about scientists trying to understand consciousness. "Theories of consciousness are how we wish to see ourselves in the world, and how we wish the world might be." Scary humans: Mountain lions run at the strident sound of political pundits, per The Washington Post. The finding has implications for conservation efforts. What is space? A physicist and a cartoonist take on a fundamental and complex question. The D.C. metro area has its own endangered species — a tiny, translucent crustacean called the Hay's Spring amphipod. Its home is Rock Creek Park where it hides beneath rocks and leaves, evading humans, and raising questions about whether it still exists. Erin Ross reports on a new study that detected small amounts of DNA shed in the water by the animal — proving it is still there.